In 1994, the National Environmental Education Foundation [NEEF] created National Public Lands Day to promote the improvement of public lands, and to educate Americans of all ages about their important role in daily life and in the nation’s history. Presenting at a panel last year at the “Welcoming All” Presidio Tunnel Tops workshop—when the country was also celebrating another historic milestone at that time, the Centennial of the National Park Service (NPS)—I had the privilege to highlight the crucial role of diverse communities as co-creators and co-programmers of our national parks, public lands, and open spaces. Like then, all eyes will once again be on these national treasures that belong to all, places that constitute one of the greatest expressions of our democracy. It is our charge as park and public lands leaders that their benefits, preservation, and cultural resonance be shared even more widely with a broader cross-section of society. For me, as an immigrant from the Philippines, where democracy and liberty have been hard-fought and hard-won, knowing that these national resources belong to all is incredibly moving, and needed even more now. The newest national parkland we are working to realize is the Presidio Tunnel Tops, which will connect the Presidio of San Francisco’s Main Post with the San Francisco Bay waterfront by way of Crissy Field. A tri-agency partnership project of the Presidio Trust, the Parks Conservancy, and the NPS, this future 14-acre park presents the unique opportunity to expand the genuine and comprehensive engagement of diverse populations as “co-creators” of this newest home for lifelong learning, recreation, health, and cultural celebration. The engagement of diverse communities, including through the ethnic media that serve them, was a key pillar in the Parks Conservancy’s first-ever Ethnic Media Roundtable that I directed and moderated as Trustee, held at the Crissy Field Center last year. 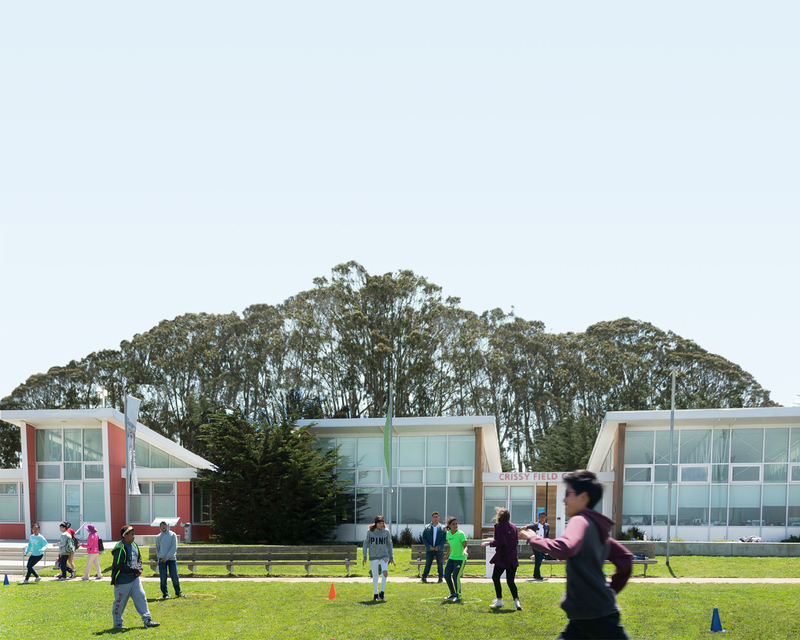 It has been one of the recent building blocks of increasing inclusive outreach efforts of the organization, in partnership with NPS and the Presidio Trust. At that media forum, and the subsequent Tunnel Tops workshop, the focus on cultural relevance was a cornerstone of these gatherings. It has always been one of the strongest draws for me in my personal relationship with America’s parks. In 2009, my husband (a Catholic School vice-principal and history teacher) and I discovered the War & Dissent exhibition at the Presidio Officers’ Club. It was both exciting and sobering for me to see that a chapter in my homeland’s history, the forgotten chronicle of the U.S.-Philippine War from 1898-1915, was highlighted in this national park in San Francisco. Volunteer American troops came to the city to be trained and were shipped to the Philippines during this conflict. And this history I shared not just at the Tunnel Tops workshop, but also last February 2017, when I emceed the Media Preview & Ribbon Cutting for the opening of the new William Penn Mott, Jr. Presidio Visitor Center—another inspiring tri-agency collaboration. I was honored to bring more than 25 of our ethnic and mainstream media partners to this celebration. I further elaborated on this insight, citing that the Buffalo Soldiers, some of whom served as America’s first park rangers, were among the U.S. troops sent to the U.S.-Philippine War, this forgotten war. To have African-American and Filipino histories intertwined with the Presidio, part of the Golden Gate National Parks, is just one example of what diverse communities have brought to the nation’s journey. The stories of immigrants and diverse populations are interwoven with the history and future of our national parks, and have enriched the rich fabric of the nation—helping us see the America we are, and the America we are still becoming. On Oct. 5 at the Presidio Officers’ Club, a distinguished panel of ethnic media and stakeholders will be in conversation with each other for “Your Voice Matters”—an event spearheaded by the Presidio Trust and attended by representatives from all three agencies (the Trust, NPS, and Parks Conservancy). I will be moderating this ethnic media roundtable that explores the history of marginalization presented in the Presidio’s Exclusion exhibition (about the mass incarceration of Japanese Americans during WWII), how diverse populations are seeing this dark past through the lens of their own histories, and how communities can come together in solidarity. This is but one response to that threat of hate and exclusion—part of a rising chorus singing loud and clear: our national parks and public lands are places of diversity, of safe dialogue, of respect and love for each other. Odette Alcazaren-Keeley is a Principal of the multicultural communications group, CKO+ Media, headquartered in the San Francisco Bay Area.